The biggest egg producer in South America just debuted a plant-based egg! GFI Brazil has been working with Grupo Mantiqueira, a Brazil-based egg producer, to respond to growing consumer demand for plant-based foods. 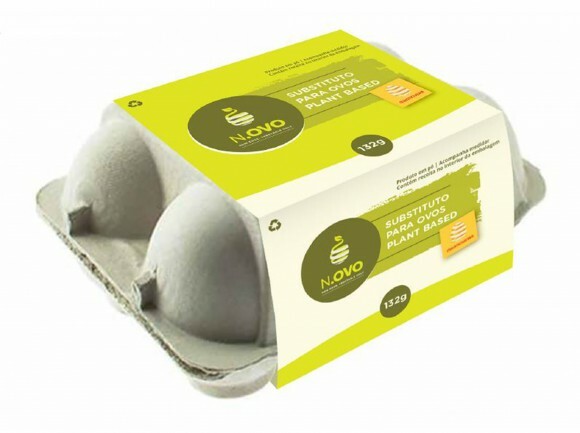 We are thrilled to share that Grupo Mantiqueira just launched their first plant-based egg product: N.Ovo. Brazil is the 6th largest egg producer in the world, with 2.2 billion kilograms of eggs in shell produced in 2016. In GFI’s recent poll of more than 9,000 Brazilians, 29 percent of respondents reported wanting to reduce consumption of animal products. This translates to almost sixty million people across the nation! We found broad social acceptance of reducing intake of animal products: Seventy-six percent of respondents reported a positive perception of people who are reducing the consumption of animal products.